A fitted knee-length dress with gathered crossover waist detail and skirt with split front hem. 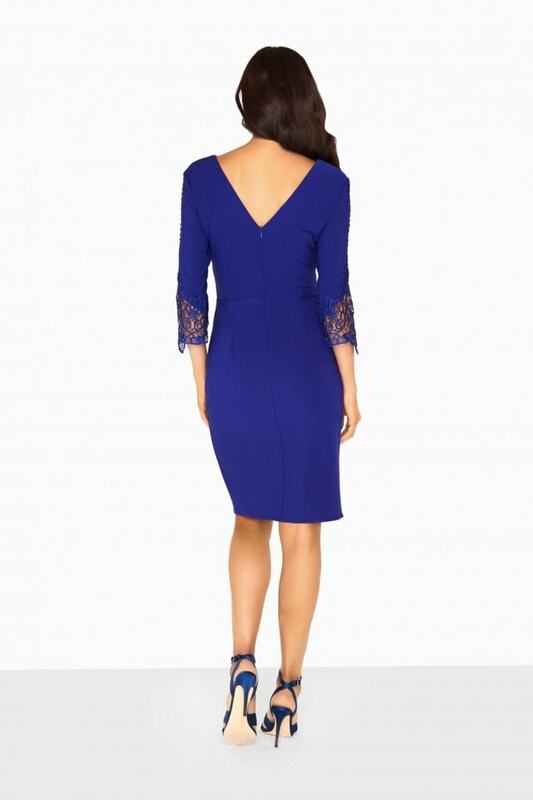 Mid-length sleeves with crochet trim cuffs, front and back v-neckline and concealed zip back. outer: 92% polyester, 8% elastane -- lining: 97% polyester, 3% elastane.